If last weekend was busy then this weekend is going to be busier. Do you get spells like that, when it's all go and life has to be scheduled almost an hour at a time? 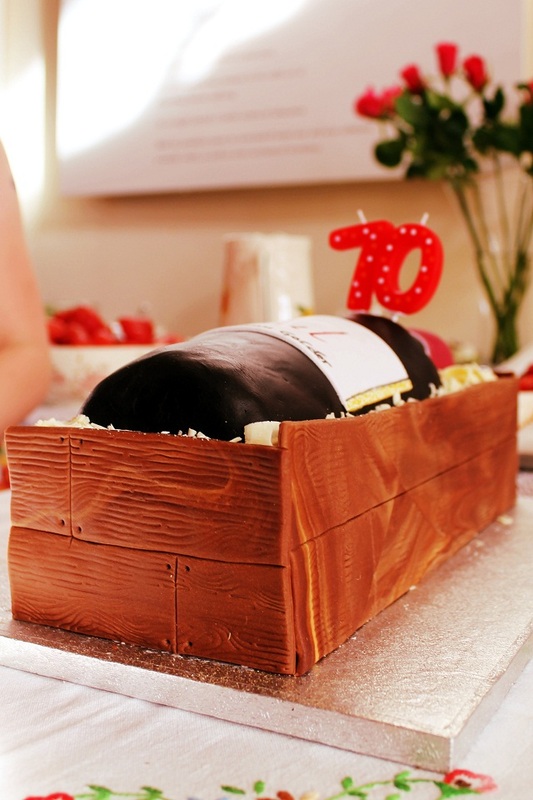 Last weekend we celebrated a family 70th birthday and my dad's 78th. We saw all the family - on both sides - in less than twenty four hours. We had a lovely lovely time. 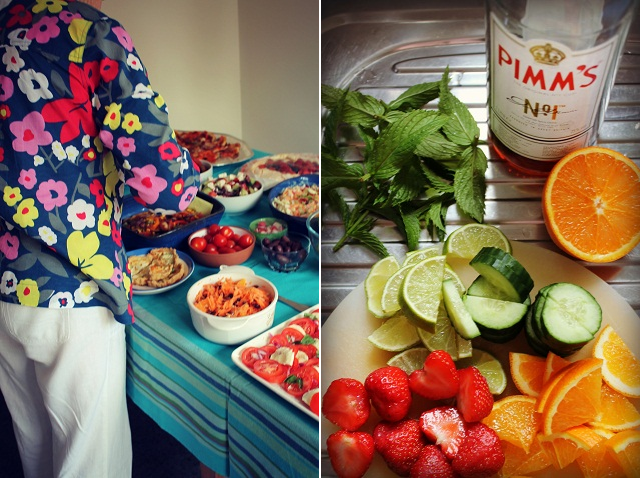 Champagne, Pimm's and the most delicious food. I'm not complaining, especially as we were able to take home this spectacular pavlova from the party and serve it the next day for my dad's birthday lunch. This weekend it's our local free community arts festival, Fuse. As well as the whole family volunteering, hubs' group, The Sleaze Brothers, are also playing there on Saturday night. The original line-up from 1986 is back together after a break of, ahem, a few years. There have been many rehearsals. I've been a guitar widow these last few months, but I don't mind one little bit; it takes guts and hard work to get back under the spotlight after a break of several years. Facebook has been awash with retro Sleaze Bros photos. The photo below is from 1989 at our brilliant local arts centre (sadly now a restaurant) and the ticket price was just £3. I love the atmosphere in this photo - I was there in the audience, somewhere, dancing my socks off. The Sleaze Brothers play blues, soul and rock and roll numbers inspired by The Blues Brothers, although they are not a tribute band. I think they've had a lot of fun getting back together. I hope they enjoy tomorrow night, I certainly will. Yummy food and good company, sounds perfect. Have fun this weekend. Wow...totally enraptured by that pavlova!! I think I know what I will be making for a friend's henna party now :) Thank you for the inspiration. 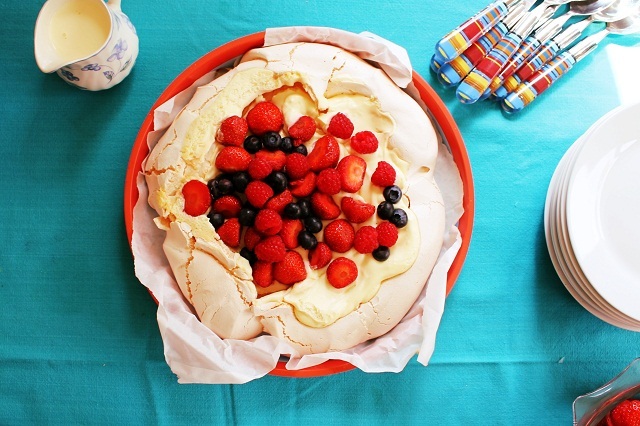 Your pavlova is beautiful. I'm so happy for your husband, have fun this weekend. Mick said they were the best band yesterday and Andrew has put a photo on Facebook ! Anne in Chasetown.